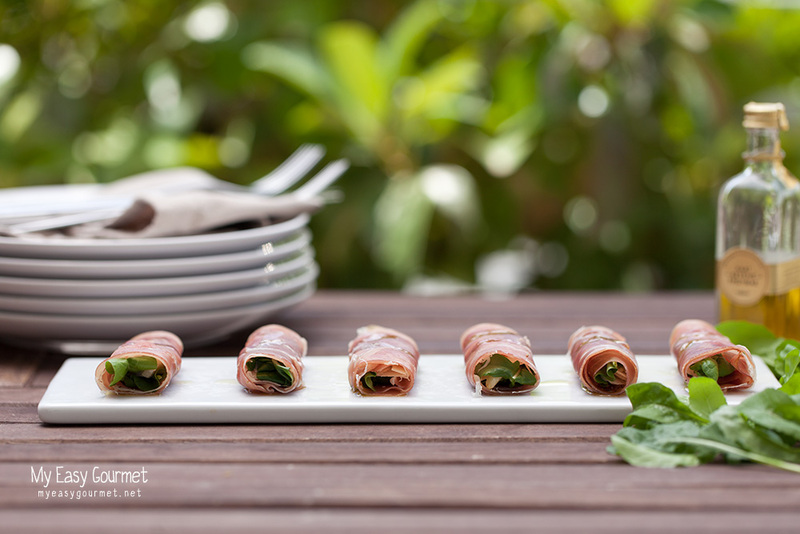 Prosciutto rolls – Arugula, freshly grated parmesan, toasted pine nuts, all wrapped in thick prosciutto slices and drizzled with truffle oil. Such a classic combination, usually seen in salads but here, presented as wraps, these bite sized appetisers are packed in flavour. Pair this dish with a glass of good white wine and some grapes or serve it as an appetiser at the dinner table. Prosciutto wrapped asparagus with mozzarella. Thin crust pizza with poached eggs and prosciutto. Eggs Benedict with beer crumpets. 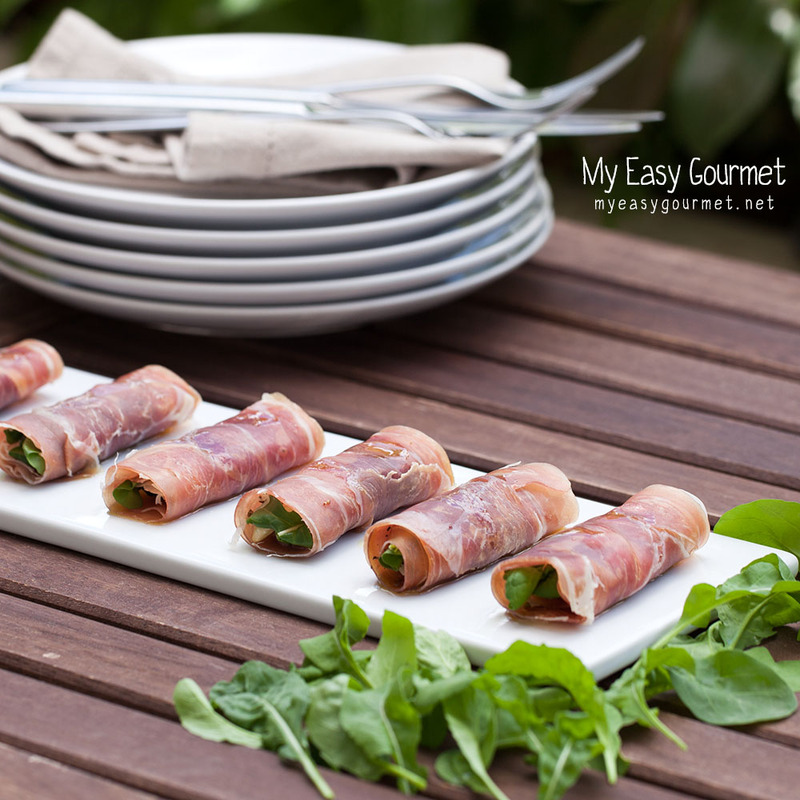 On the one side of each slice of prosciutto, place 5-6 arugula leaves, 2-3 parmesan flakes, 5-6 pine nuts and some pepper. Mix 1 tablespoon of olive oil with some drops of truffle oil, depending on how strong you want the truffle to taste. Pour the oil over the rolls to liking and serve. If not serving immediately, refrigerate the rolls and drizzle with the oil right before serving. Reblogged this on My Easy Gourmet. I have seen this type of appetizer cooked to a crisp. I think I would prefer them as your have prepared here. Beautiful photography.